When taken in moderation, alcohol can be a pleasurable beverage to have. However, as with all other addictions, an excessive reliance on it can bring about significant damage to our lives. You see, alcohol makes us feel all ‘warm and fuzzy’ inside, giving us a feeling of happiness. Many of us thus turn to alcohol because it gives us a temporarily escape from the bitter and harsh realities of life. When we feel depressed or low, alcohol serves as quick and easy ‘fix’ to make us feel better again, at least in the short term. But alas, the comforting effect of alcohol soon wears off, and we find ourselves depressed once more. In order to maintain its comforting effect, we have to keep taking in more alcohol. Over time, as our bodies start to develop a tolerance for the substance, we end up needing to ingest more and more alcohol to get the same comforting effect. This soon becomes a dangerous situation where we spend increasingly more money on alcohol, and our bodies grow to need larger and larger volumes of it. Inevitably, our liver starts to break down, and our organ functions start to fail. Also, we become poor and unable to provide even the most basic necessities for ourselves – we have become slaves to alcohol. Do you often find yourself looking for an alcoholic drink to ‘escape’ from the mental and emotional stress that you’re facing? Are you spending too much money on alcoholic drinks? Have other people often told you that you reek of alcohol? Do you find yourself unable to get past a day without ingesting some form of alcohol? 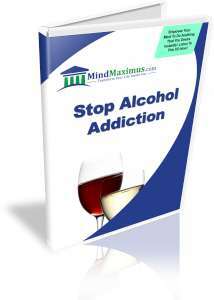 An uncontrollable alcohol addiction is very difficult to overcome. On a conscious level, we know it’s important to control our alcohol intake. In practice however, that’s easier said than done. This is because the brainwaves we emit that control our desire for alcohol is not aligned with this affirmation. 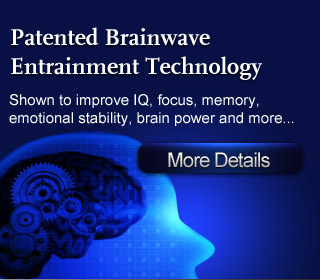 Thankfully, with today’s advanced Brainwave technology we are now able to subtly alter our brainwaves to effectively ‘train’ ourselves to reject all desires for more alcohol. Once we accomplish this, thoughts and actions will reflect this affirmation, enabling us to rid ourselves of this unhealthy addiction! No reviews on E02 Stop Alcohol Addiction so far.